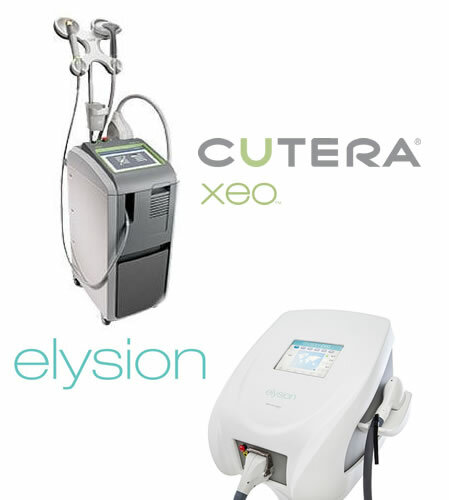 Nd Yag 1064nm Laser Cutera XEO (USA) was created to be the most performing and durable laser epilation system on the market, the only effective for all types of skin, including dark skin. Its unique design, versatility of working parameters and its innovative cooling system allow highly effective, safe and sustainable treatments. In our clinic, we use this laser for limited areas with strong hair follicles, deeply inserted (such as chin, upper lip) or very dark skin. 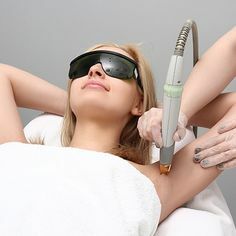 The 810nm Elysion Cocoon Medical Dioda Laser is the “gold standard” in I-III cutaneous skin hair removal technologies and works on the principle of selective photo-thermolysis reaching very high temperatures capable of destroying the hair follicle without affecting the surrounding skin due to the performance of the cooling “crystalline freeze”. It is a fast laser, treatments are painless, with excellent results. At least 3 weeks before the start of laser treatment, the hair is removed only with the razor or depilatory cream. It is necessary to avoid exposure to the sun 2 weeks before and after the laser session. Strictly follow the directions of the dermatologist! How many sessions are required for hair removal with Nd Yag CUTERA® XEO / Cocoon® Diode? Most areas require 6-8 treatments. The number of treatments required depends on hair thickness, treated area, and hair growth cycle. There are areas like chin and upper lip in women, which may require more treatment sessions (10-15). At one point, the hair follicles are in different stages of development. They evolve in three phases: growth, regression and latency. The laser destroys follicles in the active phase at the time of treatment, so up to 6-8 treatment sessions are needed. Laser technology is the most effective at present, and 90% of patients lose their hairiness after 6-8 sessions, as the laser beam specifically targets the bulb without injuring the skin. Because they use specific wavelengths and targets, the energy and emission time can be very fine-tuned, the epilation lasers remove safe and effective unwanted hair. To maintain the results, maintenance sessions may be necessary (1 session at 1-2 years). Immediately after treatment, the area may be discreetly erythematous and edematous. In the following days, the yarns seem to have an apparent increase but in fact they will be eliminated after 7-10 days. Treatments are not allowed by plucking (wax, electric epilator, tweezers) but only shaving. The most common are a slight redness and edema of the treated area. These effects usually take a few hours. Treatment is addressed to both women and men.